Anxiety is known as your body’s natural response to stress. It’s known to be a feeling of either fear or apprehension about what’s to come. It can be the first day of going to school, going to a job interview or giving a speech may cause most people to feel fearful and nervous. However, if your feelings of anxiety are extreme, lasts for more than 6 months, and are getting in the way with your daily life, you may have an anxiety disorder. If the symptoms of anxiety are interfering with your daily life, consider these trusted natural lifestyle changes that are proven natural cures for anxiety. 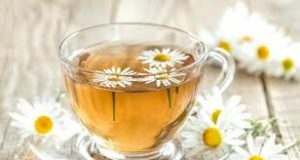 Chamomile tea is a natural homeopathy treatment that contains two chemicals that promote relaxation: apigenin and luteolin. A study conducted at the University of Pennsylvania Medical Center found that patients with generalized anxiety disorder who took chamomile supplements became more relaxed compared to patients who were given placebo, proving that those supplements worked better when the person is higher-strung. This is the best way for you to increase your levels of vitamin D, which can lower the symptoms of anxiety disorders and depression. A short 15-minute break will not only take your mind off of stress but also let you reap the benefits of outdoor activity. And the greener, the better. 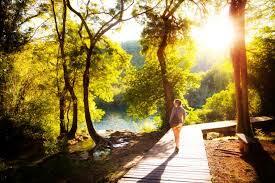 One Japanese study found that people who walked through a forest for 20 minutes had lower stress hormone levels after their walk than those who took a comparable walk in an urbanized area. A soothing hot bath is always calming, and raising your body heat may help regulate both of your mood and anxiety. For extra benefits, stir in some Epsom salts. The magnesium sulfate in the salts has been shown to be effective in calming anxiety and helping to lower blood pressure. Furthermore, adding in either lavender or vanilla essential oils to your bathwater helps reap in easing muscles and body pain. Caffeine is known to boost your energy, and it can make you a bit jittery and anxious. If you can’t last a day without a cup of coffee, try reducing by a cup and see if you notice a decrease in your anxiety symptoms. 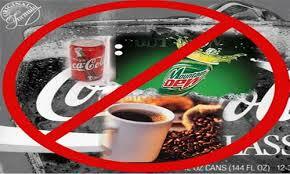 Furthermore, you can also try switching to a drink with less caffeine and with more benefits, such as green tea. However, you need to be aware of other caffeine sources as they may be in your diet like soda, chocolate, tea and some over-the-counter medications. So, there you have it, these are just some of the types of homeopathy remedies you can try out when it comes to lowering your anxiety. Sure it’s nice to try some of these out whenever you’re afraid of something that didn’t take place just yet, but it’s still good to have one friend to talk things through when you’re feeling nervous. That can be the greatest remedy you can try out yet!